Is the Solar System's Galactic Motion Imprinted in the Phanerozoic Climate? | Watts Up With That? Is the Solar System's Galactic Motion Imprinted in the Phanerozoic Climate? Nir Joseph Shaviv is an Israeli-American physics professor, carrying out research in the fields of astrophysics and climate science. He is a professor at the Racah Institute of Physics of the Hebrew University of Jerusalem.He is also a member of the Institute for Advanced Study in Princeton. He is best known for his controversial solar and cosmic-ray hypothesis of climate change. 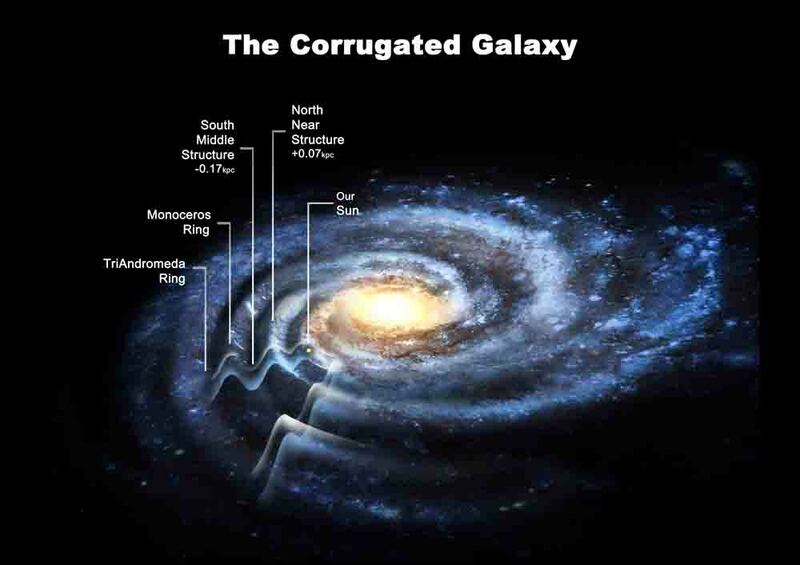 In 2002, Shaviv hypothesized that passages through the Milky Way’s spiral arms appear to have been the cause behind the major ice-age epochs over the past billion years. The green line is the low-latitude, blue the mid-latitude, red the high-latitude, and the black line the deep sea subset. The latter three subsets were shifted to minimize the χ2 between them and the low-latitude subset (see Supplementary Materials for details). Note that the low-latitude data show a warming for the past 15 Ma while the three other subsets exhibit cooling. Note also the data gaps around 110 and 210 Ma. The dotted vertical lines denote time intervals used for splicing the different combinations of subsets. The simulated VO motion of the solar system in the galaxy (blue) has a secondary frequency modulation caused by the epicyclic motion of the solar system that generates slightly shorter VO periods around 130 Ma and 300 Ma and longer ones in between. Because the vertical potential changes adiabatically with the epicyclic motion, the vertical amplitude is larger when the period is longer. The shaded region denotes the 95% confidence range for the measured δ18O obtained from the finite number of data points in each bin and the variance in the data. “Given the consistency between the vertical and radial oscillations and the paleoclimate data, and the low probability that it could be mimicked by random fluctuations, we conclude with high confidence that the terrestrial temperature has a component which is quadratic in the distance from the galactic plane. Although this can be naturally explained through the cosmic ray climate link, the observations by themselves do not prove it. Presenter’s note: this is not to defend or refute the authors’ theory but to provide the community with the information – decide for yourselves. March 21, 2015 in Climate News. ← Claim: Did volcanic induced climate change wipe out Neanderthals 40,000 years ago? This has made sense to me whenever I’ve read it. But so do lots of things – I’m very gullible. If it’s significantly right there would be a perfect correlation in the historical record. And there isn’t, is there? No one factor dominates the climate… probably. The large scale climate oscillations they are looking at for some reason also coincide with the Mg budget of the ocean. Ice house climates have high Mg:Ca with aragonite as the common CaCO3 polymorph and green house climates have low Mg:Ca with high Mg or even low Mg calcite as the common polymorph. These changes also coincide with transitions between MgSO4 and KCl marine evaporites in aragonite and calcite seas respectively. The evidence suggests that it is variations in global volcanism, especially at rift zones, large igneous provinces, and mid ocean ridges with fresh basalt pulling Mg and SO4 out of sea water and adding Ca and K. It appears that CO2 has little to do with this sea water chemistry but this sea water chemistry correlates very well with the global average temperature. So there you have direct evidence of an Earth mantle connection. Only during the rather bizarre Ordovician-Silurian boundary glaciation does this sea water chemistry caused by volcanism not correlate with climate conditions on Earth, and this glaciation is the only one that is associated with a major extinction. That suggests it was a catastrophic event of some sort that caused the cold climate conditions at that time. Looking for cosmic connection in 32 m.y. climate oscillations sounds like a wild goose chase. P.S. The linked paper has an interesting section on CO2 and ocean chemistry that is worth mentioning. Good summary of a few geologic/geochemistry/glacial connections to observed datasets. Only, can we drop the ignorant ‘icehouse’/’greenhouse’ academic CAGW communication verbiage when discussing geologic time frame ‘climate’. Essentially, going by that meme, we are still in an ‘icehouse’, in geologic ‘deep time’ speech. Ice house/Green house jargon is not CAGW related. These terms have been used for decades to describe, in very general terms, the prevalent climate conditions on Earth. It’s not a meme, and we are in ice house conditions by definition, not by colloquial speech. Well, if there is one factor… ti’s money. They are very vibrant paintings Max Photon. I liked violet, and clatsop sunset. Also linear thinking in a cyclic world, the cartoon. Very good paintings. Thanks, Max. It should be noted that the idea that cosmic rays affect the climate is by no means generally accepted. The link is contentious and it has attracted significant opponents over the years because of its ramifications to our understanding of recent and future climate change. I’m not completely sure where you’re going with your comment. However, I do emphatically agree that there is a very strong tendency for human beings to hijack debates, which are ostensibly about the discovery of true ideas, to become morality plays, with themselves as the righteous heroes and their critics as villains. Moral posturing is SO much easier than science or objective news presentation, that it presents an almost irresistible temptation. Shaviv was featured quite prominently in the Svensmark movie. He’s a compelling guy. Compelling. Thanks for the link. I’ve met Dr. Shaviv a couple of times, at the Heartland climate conferences. He’s a very nice and friendly guy, who doesn’t talk down to people who are a lot more ignorant than he is. Like me. Don’t you hate people, who draw graphs backwards. Yeah, I know the origin is on the left, but we from read and count from left to right. Or is this a Hebrew graph? 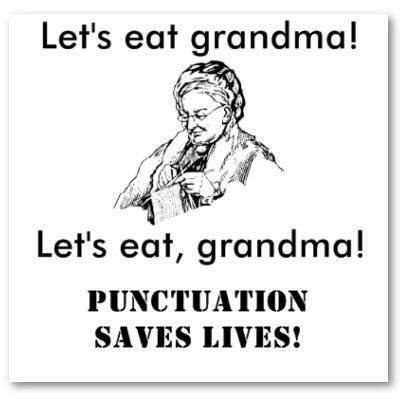 I hate, people who put, commas in the, wrong, place. And don’t, you hate people who, forget question, marks. >>And don’t, you hate people who, forget question, marks. It was a rhetorical statement, not a question. You do understand rhetoric, I presume? >> You do understand rhetoric, I presume? Better than you understand humor. 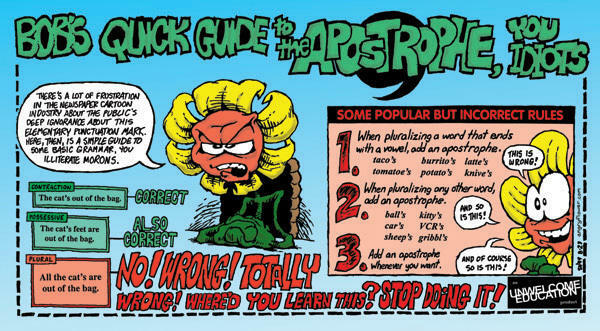 “Correcting someone’s grammar is dangerous “ is a rhetorical statement; it requires no response. “Don’t you hate people, who draw graphs backwards?” is a rhetorical question because it is phrased as a question. It requires a question mark whether an answer is expected or not. AT least it is not hieroglyphic. A rhetorical question takes a question mark. The need for a question mark is dictated by grammatical form, not by the intention of the writer. The amusing part is that ralfellis ended his rhetorical question with a question mark. To be clear, I’m just teasing. And I agree: reading the abscissa from right to left is very disconcerting. Just because you’re teasing doesn’t mean I can’t be deadly earnest and declare the putative rhetorical question of ralfellis not a question at all, but a statement about what he presumes! Then why did he end with a question mark, thereby contradicting the very thing he was railing about in the first place? ‘cos he didn’t know it wasn’t a question. you come up with some good ones. I came up with a conjecture a couple weeks ago along similar lines. My idea is that as the solar system travels through the spiral arms, they are traveling through a high density area (relatively) and the increase in proximity to other stars increase the cosmic ray bombardment, which increase cloud seeding which increases temperatures. This lasts for as long as the system is in the spiral arm. Then the solar system enters the void between the arms. This is a low density area (relatively) and like flowing water moves much faster. Without the proximity to other stars the earth doesn’t get the cosmic ray bombardment, so it gets reduced cloud seeding and reduced temperatures. Greg, I believe you have the inverse effect. More Cosmic Rays, more clouds lower temps…out of the spiral arms less cosmic rays, fewer clouds warmer earth. Excellent, I learned something from that 🙂 Thanks Walter. Looking through Google to find where out solar system is in relation to the Galaxy’s spiral arms. I’m finding it both in the arm, and in between the arms. Does anyone have an authoritative location of where our solar system currently is? Why wouldn’t the solar system be traveling with the rest of the galactic matter within an arm – heading toward a possible black hole at the center – or whatever keeps the spiral going? Don’t foget Space Dust Clouds could have just the same kind of affect on temperature by reducing the amount of Solar and Coamic radiation reaching earth. How would anyone know if our Solar System has passed through any Dust clouds in the past? There is also a reference to this same idea in the “Correlated History of the Earth”, by P. R. Janke, at the Worldwide Museum of Natural History. The publisher is Pan Terra, in Hill City, South Dakota. I made oblique reference to this same idea in my 06 March 2012 guest post (thanks Anthony, and mods, for posting my missive!!) on the Permian extinction/Siberian Traps (non)connection. Dr. Janke also postulates a link to extraterrestrial impact events, based on our solar system’s passage through spiral arms, though the hypothesis requires more work and investigation. And I am presuming that when it says: “VO periods around 130 Ma and 300 Ma”. It actualy means: “VO periods around 30 Ma and 300 Ma”. The periodicity in blue on the second graph, is more like 30 Ma than 130 Ma. Most alternate climate theories seem more believable than trace gas variations. But the science is settled! 99% of scientists agree with me, so you’re just wrong and stupid! You’re all just anti-science, stupid deniers, probably being paid by oil companies, who should be put in jail because you obviously want to kill poloar bears!!!!1!!! All you people are stupid stupid-heads who can’t think because youre all stupid! Obama should ban this site to save the world! I hate you all!!1!!!! I think Nir Shaviv’s problem here is that a 49 My Gaussian smooth of the data does not produce a high-enough resolution to be able to determine much at all. The numbers need to be smoothed at much higher resolution like 3 Mys or even 1 Mys. Now the data starts to show the history of the paleoclimate exactly according to things we know about such as ice ages, hot-houses, Antarctic glaciation timelines etc. Well, if the models don’t predict it, well then. The rule with any astronomical paper is: if dark matter is a required part of the hypothesis, dismiss the hypothesis. Dark matter is simply the gap between model and measurement, and can’t be used to justify any model as it is thus circular reasoning. NZW, dark matter was proposed to explain the fact that the rotational dynamics of galaxies requires ~10x more mass than is represented by their luminous stars. The idea is based in observation, not in a logical error. The dynamical anomaly was discovered by Vera Rubin. Personal webpage here. Gravity provided by dark matter is one of two current explanations for the phenomenon. The other, less generally favored, is that Newton’s Law of gravitation must be modified over large distances. According to Wiki Rubin herself favors modifying Newton’s Laws over proposing dark matter. She arguably deserves a Nobel for that discovery. Fritz Zwicky also was a voice in the wilderness for many years, because his studies of star velocities consistently showed that they were too great for the known mass attracting them. When I was studying astrophysics, this was known as the “missing mass” problem. But none of us predicted dark matter. I don’t know whether Zwicky or Rubin was first to note the problem. By that logic, I deserve a Nobel for proposing “dark heat” as the solution to Trenberth’s missing heat. Not a solution, you say? Neither is “dark matter”. third option: The Universe isn’t old enough for the galaxies to have dispersed. So it has a fake ID? Personal incredulity is not a valid refutation, NZW. Lance, according to Wiki, Fred Zwicky was first with credible evidence. He apparently preceded Vera Rubin by about 30 years. It is in this case, Pat, because the null hypothesis is on my side. Dark matter is not observed, so that’s the refutation until it is observed — same with gravity waves, fairies, and gremlins. Galaxy rotational profiles are an interesting problem, but there are alternatives to dark matter. I’m going to agree with NZ Willy on this one. Dark matter can’t be seen or measured. Under that scenario it doesn’t exist until proven otherwise. I’m more than happy to explore alternate theories, such as string theory. But I can’t accept that it exists until it’s been measured. On the one hand, condensation-nuclei in the path of a charged particle make an amazing display in a cloud chamber. It’s too bad demo and simple cloud chambers aren’t popular anymore. That such a tiny particle and infinitesimal amount of energy can have such a dramatic effect … is of course the root to all suggestions that variations of incoming radiations could be a big atmospheric deal. Even a climate-driver. But on the other hand, conditions have to be ever so especially thusly inside the chamber, for the spectacular effect to work, and certainly such conditions are not going to be prevalent in ways leading to big-time climate-influences. Maybe (theoretically) in a given locale, on a still & saturated almost-foggy morning … but not on mass scales. Ted, I’ve raised the Wilson Cloud Chamber several times, wondering if climate theorists even cite this Nobel Laureate. Yes such tiny particles and such relatively huge “con trails” don’t seem to elicit much interest. I think the absence of these trails in the atmosphere around us is because of the other ingredients in the soup of weather. But I believe it possible to quantify the effect. Measure the density of these bombardments (probably already have them) and sum the volumes of the trails which are many many orders of magnitude greater than the size of the particle. For sure, Gary, radiation is likely to be a potent actor in the atmosphere & weather soup, it’s just hard to pinpoint the magic bullet. I used to live in San Francisco and loved going to the Exploratorium. There they have a cloud chamber that is totally cosmic. Finally saw “Sun” in the galaxy diagram after looking and looking. Needs a “You are Here” label for us older guys. A Question: Referring to Paper Fig 2. If the cool periods, noted by low d18O values, are encountered which each passage across the galactic disc/plane, wouldn’t the period be 64 My? Stated slightly different, wouldn’t there be with each cycle an ascending disc pass, followed 32 My later by a descending disc plane pass, thus a 64 My cycle? What am I missing to make a 32 My cycle? BURN THE WITCH! BURN HIM! Can’t Burn him, that would release CO2. Actually, it’s a lot like corn ethanol in that when he’s burnt up his CO2 is released and another human is born to take over his sequester duties. But then he would stop exhaling CO2, so burning him gives a net reduction. Just plant a tree over his ashes, problem solved! His CO2 expulsion problem was that he did so many voices, not just Kermit. I bet you could estimate the size of the galaxy based on the climate cycles. 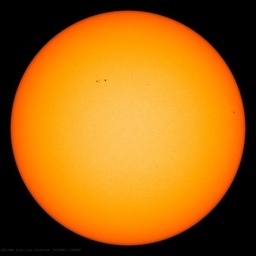 Looks similar to the heliospheric current sheet…. Negi, J.G. and Tiwari, R.K. (1983). Matching long term periodicities of geomagnetic reversals and galactic motions of the solar system. Geophysical Research Letters 10: doi: 10.1029/GL010i008p00713. issn: 0094-8276. I’m all for expanding and expounding theories in an effort to find answers – but, and I say this even as a geologist – it is difficult to accept the stated ‘result’ of such studies in isolation. Many such studies need to correlate together for a potential point to be made BUT even then, we have absolutely NO way of confirming the ‘thoughts’ being indicated. It’s no better than the tree rings studies – was it water, temperature, sunlight, co2, volcanic eruptions, etc – what? that caused the various observed annual changes in growth rings? In short – who knows? I would prefer all of these type studies to start with the line ‘this is all based on pure conjecture and supposition….’ – because, in truth, that is all it is………..it’s all grist to the mill of course, in the search for understanding, but it is always conjecture at this stage (of science). Maybe in a millenia or twenty, we can have a better idea! Galactic arms are something akin to a standing wave. As stars approach they speed up, and then slow during transit and exit. This was meant to be a reply to Robert_G. Thanks, that is helpful. Can you give me a reference? Re: eyes–welcome to my world. This is a wiki article with some nice animation that demonstrate the basic idea. I get the “vertical” wobbles through the galactic plane, but I don’t understand from what I’ve read how the solar system moves through the spiral arms. Don’t the arms (stars) revolve around the galactic nucleus, too? And I expect that those stars at the same radial distance as the sun would “match” up “speed-wise”– particularly if they condensed from the same primordial cloud of gas that formed the milky way in the first place. We are in speculative territory. Everything in our solar system orbits the Sun at different velocities and trajectories. In similar manner, different objects and systems in our galaxy differ in their orbits around the black hole at the center of the Milky Way. Supposedly. While many proxy studies have tried to discern climate trends of the past, there aren’t any ancient star charts buried in the sediments. I wouldn’t want to insult anyone, but it’s doubtful if our overall understanding of what’s out there even approaches a Cargo Cult level. Just a little over a Century ago, we didn’t even know that any other Galaxies existed. IIRC, we are unaware of even the number of arms in the Milky Way. They move at different rates. Like Robert_G, I don’t understand. This could be showing that the Milky Way is made up of multiple systems over time that gradually came to a balance point. The galaxy keeps absorbing smaller ones and clouds of stars with different angular and rotational velocities, with time they all tend to blend together, and spiral in toward the middle. There is probably a lot of matter (from way out on the edges) that magnetically interacts with the visible matter in toward the middle of the vortex of stars that are visible. Frame dragging out into the outer edges by magnetic effects would not need “Dark Matter” to explain the process. A purely gravity model needs the “dark matter” and black holes to explain the magnetic coupling effects of our local galaxy into the larger fields of the local cluster. It would have been nice to give us a bit of simple background. I looked it up, it takes 230Ma for the galaxy to make one revolution. 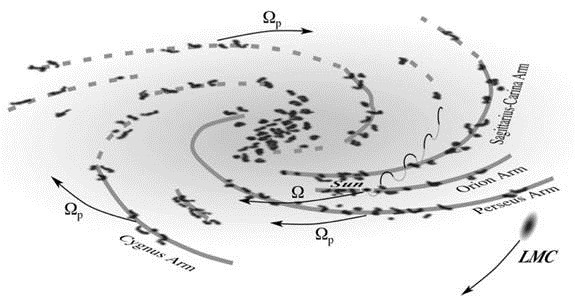 I thought the motion of the solar system through the actual spiral arm was a ~circular one around the central part of the arm – is that what this is? I’m with NZ Willy about tendering dark matter which is too desperate an invention. Surely the density changes just because of being nearer or farther from other systems. Isn’t this movement an explanation for the apparent clustered bombardment sustained by the Moon, earth and other planets? How would that affect the climate – impact apparently killed the dinosaurs. A simple tutorial on the physical explanation of what is happening, etc. would make the paper more interesting. Even a translation of the proportion of O18 relation to temperature – hey, be reckless and put the temperatures in – looks like a giant hockey stick. I believe geology tells us we have cooled down with time (no more very high temperature tholeiite basalt volcanics that even were able to melt down surface rocks into a flow channel). 59.56 possible revolutions of our galaxy. 13700Ma/230Ma = 59.56 revs. Doesn’t seem like very many to get the shape. Do other galaxies have different rotational speeds? I like the idea though!! So he’s saying that CO2 warms the climate! Just like what we are seeing today! No. He is pointing out alternative explanations to what he is proposing. At one time, this was common practice for scientists. Ever read Darwin? Nothing makes sense until you link Climate Change to Agenda 21. Agenda 21 – aim global Governance, Climate Change, the key to achieve it. Check out any videos by Rosa Koire on the subject of Agenda 21. She’s a neat lady with a lot to say. Agree. Hypothesis transitions to theory when simple correlation is demonstrated to be ’cause and effect’. Worth showing to Wal Thornhill and Stephen Smith from thunderbolts.com They propose that the universe is electrical in nature and that the sun and stars are powered by inter galactic electrical currents. Their predictions for comets have been the most accurate so far. I expect they would also accept the premise of the sun traveling in the galaxy causing a change in climate, though they would refute the dark matter aspect. They also refute the Carbon Dioxide and Greenhouse premise. While I sometimes feel the Thunderbolts folks can get a bit carried away with confirmation bias, I think that they offer numerous ideas and insights that are worthy of serious consideration … not only for astrophysics, but also for the understanding of climate and weather. But I thought plasma physics was verboten around these parts. At a minimum, plasma physics contributions are not allowed (if I understand correctly) … which is a shame. What is Ma the abbreviation for? Mega annum.. That is million years. I always thought it was short for ‘MaMa’ … as their puckered lips search for the Breast of More Funding. Next time we rearrange the classroom, I want my desk next to Max’s. Another interesting contribution and your actual science too. We are on a planet that spins with an orbiting moon and which together orbit a star in conjunction with a number of other planets, big and small, not to mention all those asteroids, comets and cosmic dust. All this spinning and orbiting occurs at a number of periods and with a whole set of interactive effects. To posit that the fluid systems of the planet, liquid and gaseous, are NOT affected by all that periodic action, let alone the resonant and seiching (basically reflection and period doubling) possibilities is absurd. To posit that the ‘science is settled’ without being able to quantify all those effects on the Earth’s climate is also absurd but more to the point, utterly arrogant. Re: “utterly arrogant”, I reckon hubris generally is … especially when it is publicly funded..
Stars and gases at a wide range of distances from the Galactic Center orbit at approximately 220 kilometers per second. The constant rotation speed contradicts the laws of Keplerian dynamics and suggests that much of the mass of the Milky Way does not emit or absorb electromagnetic radiation. This mass has been given the name “dark matter”. All of that other stuff exists on a different dimensional plane, unknown to our ordinary consciousness. Is that the same as saying it is beyond our current understanding. If so, somebody needs to get on that job. Theoretical work always models extra dimensions as empty. All they need do is stuff it with matter. No idea really, forgetting about climate for a second, but what about mass extinctions and this 32M oscillation? 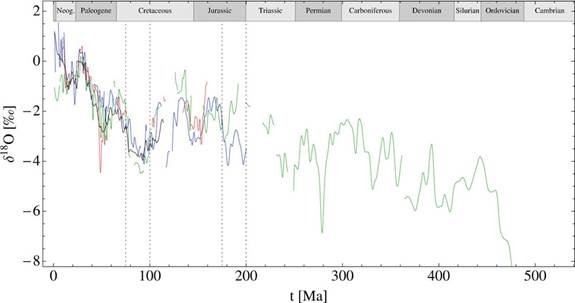 looking at the the same time frame, 540M years, that makes ~17 cycles. Mass extinctions are counted in the 5-20. Of course they are not regular, but each time the solar system oscillates it is passing through a different part of the galaxy – until the galactic year repeats (unless I have it wrong). Needless to say the 32M does not sync with the 240 so if that caused anything it would not repeat .. not to mention, maybe the dark matter (or whatever it is) at the edge of the trim has its own freaking cycle. I’m not going to comment on the hypothesis, but the first graphic is impressive. Love to see big thinking like this because we are obviously missing a huge piece of the puzzle. This is not a first principle level idea, any more than Milankovitch. It may be a layer. I have specific objections, of course. No convection occurs anywhere in the mantle. The driving force of tectonic motion is shallow lineations of molten rock of unknown, and plausibly electromagnetic provenance. You are rarely going to be right thinking big, but if you don’t, you never escape the rat race. The graphs are a treat. I wonder if the story is true. Dark matter need not be thought of as something mystical. At least some of the matter in the Universe should be expected to be dark , since it requires energy to observe an object and most of space is cold and low in energy. Think of ‘Dark Matter’ in its simplest form as normal matter that is cold and does not radiate any energy, for example, dead stars. This type of ‘dark matter’ is called Baryonic Dark Matter. If you look at mountains that have snow caps from a long distance, you cannot see the actual mountains but only the tops covered with snow. However, the mountains still exist even though not visible to our eyes. Thanks, Kirby Schlaht. This is a very good article. I think Nir Shaviv has an important theory. http://www.sciencebits.com is a website to visit, if you like science. Thanks, Nir Shaviv. I do not care for his explanations for why the climate may change. Data can not be reconciled with what he is saying especially over short periods of time. Here is what I have concluded. My explanation as to how the climate may change conforms to the historical climatic data record which has led me to this type of an explanation. It does not try to make the historical climatic record conform to my explanation. It is in two parts. It does incorporate extra-terrestrial /terrestrial events but not at the center piece for how/why the climate may change as does Nir Joseph Shaviv. I treat what he says as perhaps a having a further modulation upon the climate but not the overwhelming cause. I agree that the data does give rise to the questions/thoughts Don Easterbrook, presents in the above. That data in turn leads me to believe along with the questions I pose at the end of this article, that a climatic variable force which changes often which is superimposed upon the climate trend has to be at play in the changing climatic scheme of things. The most likely candidate for that climatic variable force that comes to mind is solar variability (because I can think of no other force that can change or reverse in a different trend often enough, and quick enough to account for the historical climatic record) and the primary and secondary effects associated with this solar variability which I feel are a significant player in glacial/inter-glacial cycles, counter climatic trends when taken into consideration with these factors which are , land/ocean arrangements , mean land elevation ,mean magnetic field strength of the earth(magnetic excursions), the mean state of the climate (average global temperature gradient equator to pole), the initial state of the earth’s climate(how close to interglacial-glacial threshold condition it is/ average global temperature) the state of random terrestrial(violent volcanic eruption, or a random atmospheric circulation/oceanic pattern that feeds upon itself possibly) /extra terrestrial events (super-nova in vicinity of earth or a random impact) along with Milankovitch Cycles. What I think happens is land /ocean arrangements, mean land elevation, mean magnetic field strength of the earth, the mean state of the climate, the initial state of the climate, and Milankovitch Cycles, keep the climate of the earth moving in a general trend toward either cooling or warming on a very loose cyclic or semi cyclic beat but get consistently interrupted by solar variability and the associated primary and secondary effects associated with this solar variability, and on occasion from random terrestrial/extra terrestrial events, which brings about at times counter trends in the climate of the earth within the overall trend. While at other times when the factors I have mentioned setting the gradual background for the climate trend for either cooling or warming, those being land/ocean arrangements, mean land elevation, mean state of the climate, initial state of the climate, Milankovitch Cycles , then drive the climate of the earth gradually into a cooler/warmer trend(unless interrupted by a random terrestrial or extra terrestrial event in which case it would drive the climate to a different state much more rapidly even if the climate initially was far from the glacial /inter-glacial threshold, or whatever general trend it may have been in ) UNTIL it is near that inter- glacial/glacial threshold or climate intersection at which time allows any solar variability and the associated secondary effects no matter how SLIGHT at that point to be enough to not only promote a counter trend to the climate, but cascade the climate into an abrupt climatic change. The back ground for the abrupt climatic change being in the making all along until the threshold glacial/inter-glacial intersection for the climate is reached ,which then gives rise to the abrupt climatic changes that occur and possibly feed upon themselves while the climate is around that glacial/inter-glacial threshold resulting in dramatic semi cyclic constant swings in the climate from glacial to inter-glacial while factors allow such an occurrence to take place. The climatic back ground factors (those factors being previously mentioned) driving the climate gradually toward or away from the climate intersection or threshold of glacial versus interglacial, however when the climate is at the intersection the climate gets wild and abrupt, while once away from that intersection the climate is more stable. 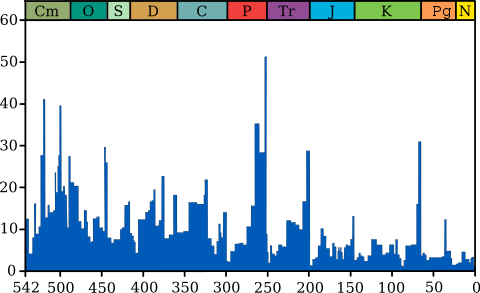 Although random terrestrial events and extra terrestrial events could be involved some times to account for some of the dramatic swings in the climatic history of the earth( perhaps to the tune of 10% ) at any time , while solar variability and the associated secondary effects are superimposed upon the otherwise gradual climatic trend, resulting in counter climatic trends, no matter where the initial state of the climate is although the further from the glacial/inter-glacial threshold the climate is the less dramatic the overall climatic change should be, all other items being equal. Despite this ,if enough time goes by (much time) the same factors that drive the climate toward a general gradual warming trend or cooling trend will prevail bringing the climate away from glacial/inter-glacial threshold conditions it had once brought the climate toward ending abrupt climatic change periods eventually, or reversing over time dramatic climate changes from randomness. NOTE 1- Thermohaline Circulation Changes are more likely in my opinion when the climate is near the glacial/ inter-glacial threshold probably due to greater sources of fresh water input into the North Atlantic. The paper deals with this issue. Volcanism related to plate tectonics would tend to be more random and not be expected to follow such regular cycles. Plus the onset would be abrupt with longer relaxation time. This is an interesting theory and is provided for your examination and evaluation. We live on a planet in a complex galactic neighborhood. about the solar system c.m., which either increases or alleviates stress on the Sun in its wobbly orbit. existed. — Carl G. Looney, Ph.D.,Mathematics, Professor Emeritus of Computer Science & Engineering. There is no 32 Ma cycle of ice ages. Look at the four ice ages in past one billion years. Dr Strange.., In Shaviv’s 2002 paper he postulates that the Ice Age Epochs coincide with the solar system crossing a galactic spiral arm at 150M year intervals – looks pretty close to me. The 32M year periods through the galactic plane coincide with “cooler” and “warmer” periods of climate exposure for the animal fossils studied. There is only one 150M year interval between the Carboniferous and Ordovician ice ages. However, the latter is probably caused by a gamma ray burst during the Ordovician-Silurian extinction. The gamma rays produced nitrogen dioxide in the atmosphere that became photochemical smog that blocked sunlight. The Carboniferous ice age is caused by evolution of land plants that depleted CO2 to below 300 ppm. Shaviv and his team are widely regarded as first-rate scientists and among the cleverest people on the planet. They usually know what they are talking about. This shows various inter-glacial and glacial cycles which do not fit in with the 32 million year cycle for ice ages and supports what Dr. Strangelove presented. That above graph’s wave pattern has a similarity to this one..
Brent had the article posted above about the waves of the galaxy’s spiral arms. Which he said resembles the heliospheric current sheath. I agree and probably also carries out the galactic magnetic field, which we call the Interstellar Magnetic Field, which has a compressional effect on the heliosophere and and solar system. And could do so hemispherically at the heliospheric size. Now what could hemispherically affect the solar rotation parameters?? ?